For nearly 15 years Laurel Heights has provided specialized care for residents with Alzheimer's Disease and other types of dementia. 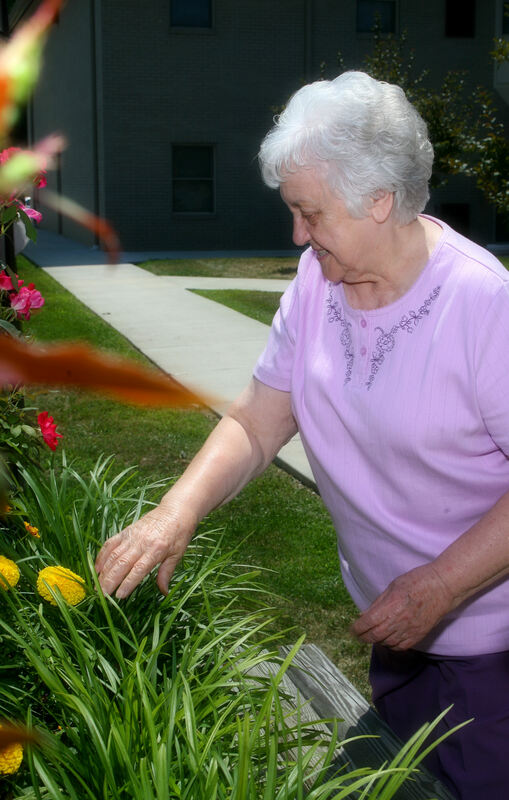 In 2001 we opened our Shepherd's Cove Community providing a unique environment specifically designed for residents with memory issues. This community includes a large day room and beautiful outdoor garden area for special activities and ample room to allow the residents to safely explore. We offer a homelike environment that promotes dignity and independence. 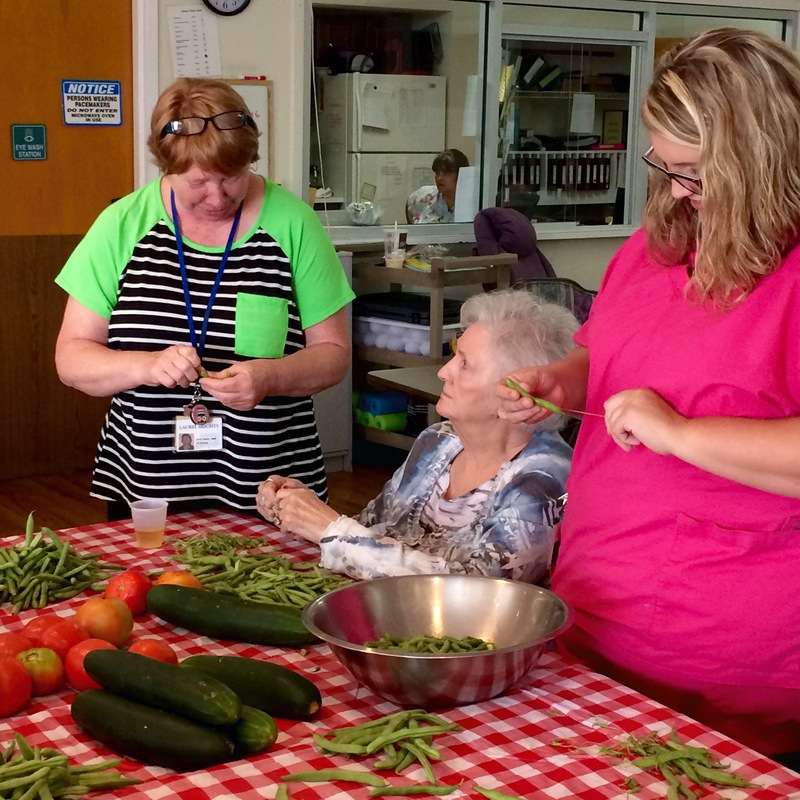 Staff members of this unit are specifically trained using the "Best Friends Approach to Care." 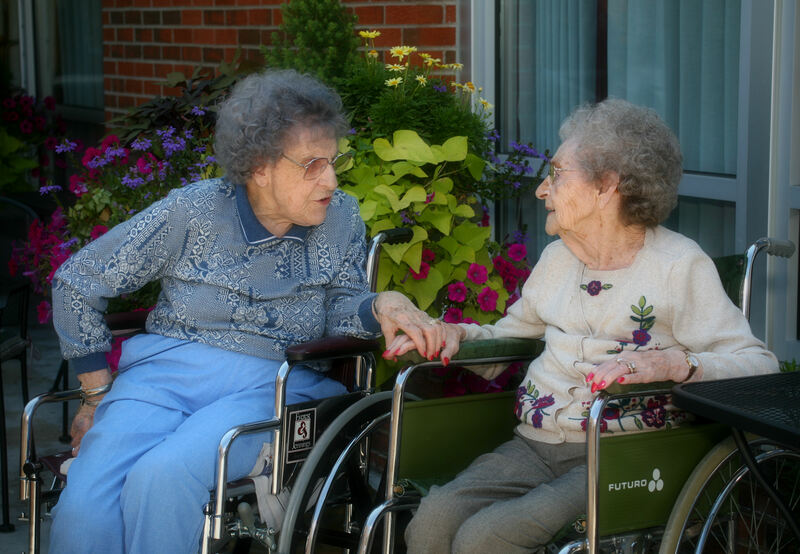 This extensive training allows the residents to receive dignified compassionate care and an enhanced quality of life. Every 66 seconds, in the United States, someone develops Alzheimer's Disease. The large majority of those people are 65 or older. Almost 2/3 of the Americans with Alzheimer's Disease are women. 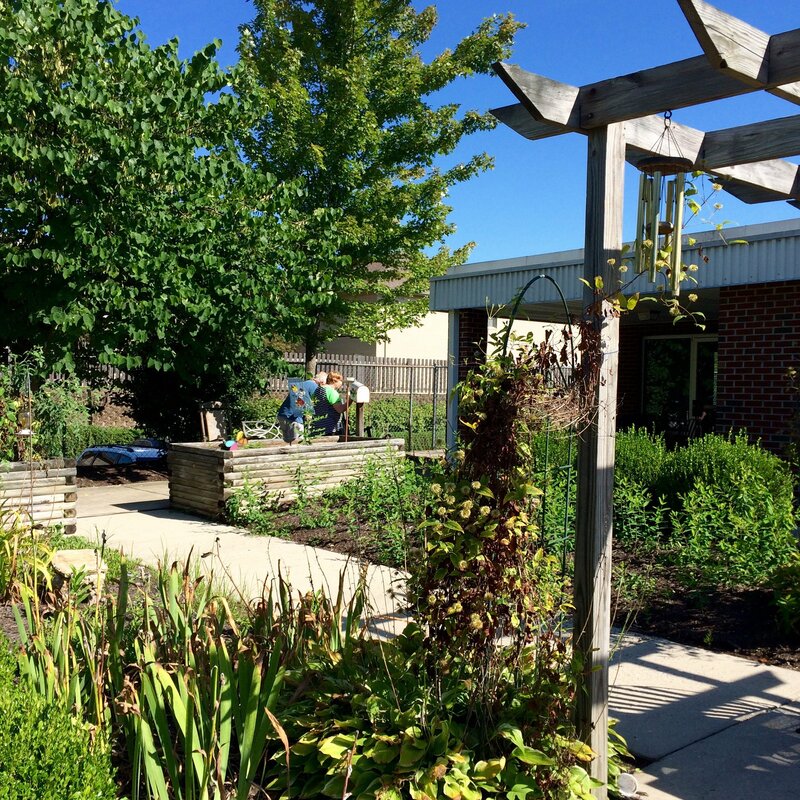 Our safe and secure outdoor environment allows residents the opportunity to get fresh air, take a leisurely stroll along the pathways, plant a vegetable or flower garden, or enjoy organized activities (ex: paint bird houses, make bird feeders, or converse during watermelon socials). Socialization and reminiscing can be a great benefit for people with dementia. That's why we gather around the table with residents, families, and staff alike at different opportunities. 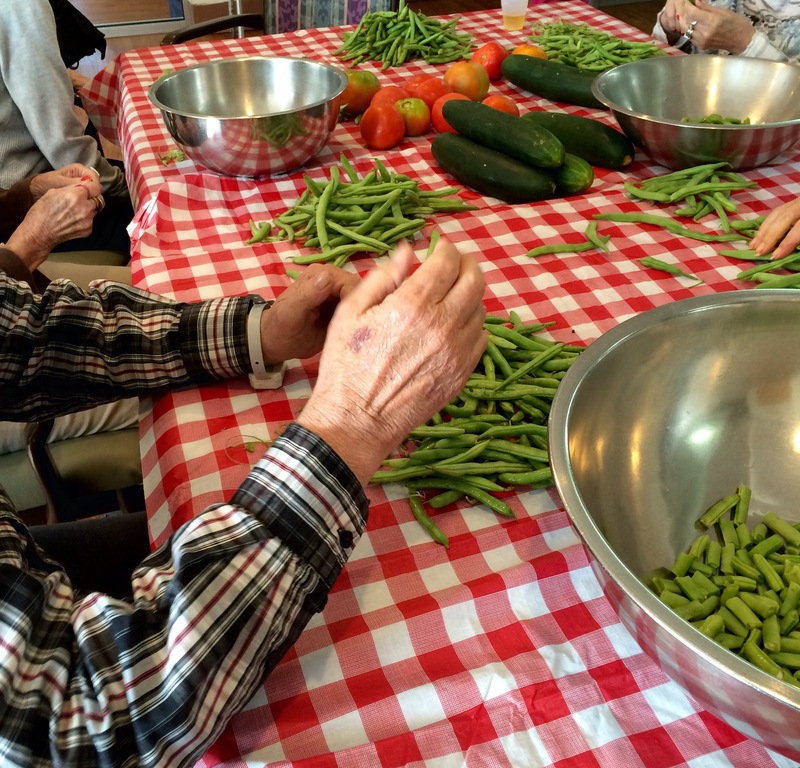 In the summer, residents teach the staff the proper way to string and break a bean and talk about what their favorite vegetables were to grow. Laurel Senior Living Communities is an official Alzheimer's Association host for the Alzheimer's Support Group for our area. The meetings are held in the Village Heights Florida Room on the 2nd Tuesday of each month at 2:00pm. A short presentation about topics of interest to caregivers is followed by discussion time. Refreshments are served. What typical everyday challenges can I expect? Communication can become an issue over time. Driving skills of affected loved ones will also decline and will need to be assessed for safety as Alzheimer's progresses. Depression can occur, but treatment is available and you should speak to your loved ones physician about it. Difficult behavior such as agitation, wandering, and paranoia can occur as progression continues. 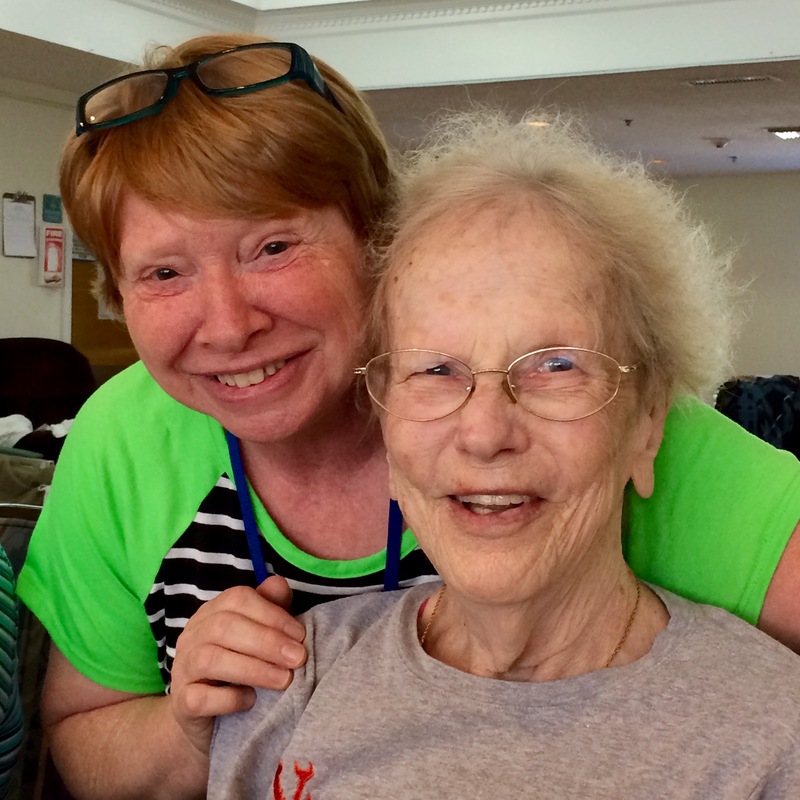 How can I stay healthy throughout the caregiving process and cope with the challenges? Caring for someone with Alzheimer's could be the toughest job you ever have. It is important to stay physically and emotionally healthy when you are providing care. It is not selfish to worry about your own health, taking care of yourself means you will be there for the person who needs you. Help them keep appointments, remember words or names, manage money, and maintain a safe living environment. Currently there is not a cure for Alzheimer's Disease, however we can decrease side effects through medication use. Can the progression of Alzheimer's be stopped? Unfortunately at this time medicine is unable to stop the disease, medications can slow the decline of memory and ability to perform activities of daily living. My loved one is not eating much since they were diagnosed, what should I do? It is important to not force them to eat, focus on giving them small nutritious portions, and ask why they don't want to eat. Inform their doctor about their lack of eating. My loved one is agitated often, what can I do? Be patient, and allow them to take their time. Involve them in as much as possible. Be flexible as they become more dependent on you. "Shepherd's Cove is 'our place for mom.' We really couldn't imagine how you have things set up there. For things to work together, you have to be of one body, as the bible says from a toe or thumb, to the heart and brain, if one isn't working the whole body suffers. From the food services, janitorial staff, nurses and assistants, activity director, therapist, doctors, office staff, administrators, you make Laurel Heights and Shepherd's Cove what it is, and we feel that it is our place for mom...thank you all so much for doing what you do so well and for doing what we couldn't do. We really appreciate all of you and pray for you daily. We believe mom is receiving the very best care." "To all of the team on Shepherd's Cove who lovingly and with professional skill tended to the quality care of my mom. 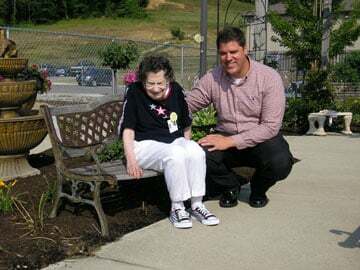 Our family is blessed so much and daily give the Lord praise for individuals like yourselves who devote your lives, so folks like my mom and our family can receive support and services in treating a most complex abnormal-aging process such as Alzheimer's Disease. Your love and care doesn't go unnoticed."